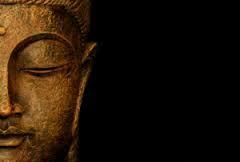 “Life is suffering.” So the Buddha said. Or so it is said the Buddha said. With such a statement it is easy to conceive of Buddhism as pessimistic, even nihilistic, to say nothing of the man whose mouth such a downer of a statement came. Now it is true that “suffering,” or dukkha is the focal point of the Buddha’s core teachings, known as the Four Noble Truths: 1) There is Suffering (not “Life is suffering”); 2) The Origin of Suffering; 3) The Cessation of Suffering; and 4) The Path Leading to the Cessation of Suffering, more commonly known as the Noble Eightfold Path. 1 Response to Buddhism, Suffering, and the new iPhone.